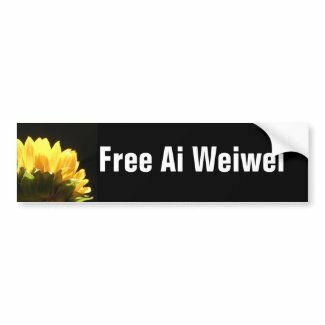 Tshirts, buttons, bumper stickers, and hats featuring the phrases “Free Ai Weiwei”, “Where is Ai Weiwei?”, “Love the Future”, and “Who’s afraid of Ai Weiwei” are available in the Free_Ai_Weiwei store on zazzle.com. 10% of total sales will be donated to charity. My personal fave is the design with the sunflower– partly because it reminds me of Ai’s sunflower seeds exhibit, and partly because the one prominent petal makes it almost look like the sunflower is giving the bird (something Ai is known to do). Or maybe that last bit is just in my head. Does anyone else see it?? The resemblance the petals bear to a flame is nice, too. If it was possible, this stuff would all be free. 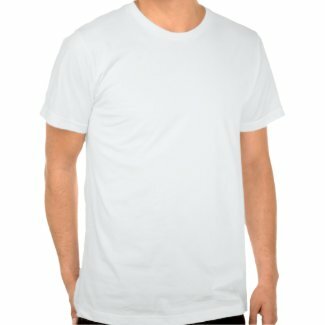 Unfortunately, I currently lack the funds to buy and distribute these by the truckload.